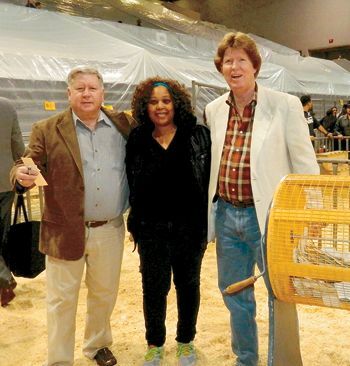 ALDINE – The Optimist Club of Aldine held their annual raffle drawing after the FFA Livestock Show & Country Fair, last Friday night, February 6th. Each year the club raffles off two sides of beef, and two half-pigs, in a fundraiser that is used for scholarships and other youth projects during the year. 2nd 1/2 pig: Greg Kelch. Club president Steve Mead thanked all who participated and bought raffle tickets. GREENSPOINT – Speaking at the HICC breakfast last Thursday morning, at the Greenspoint Club, State Representative Armando Walle opined that this was his fourth term in the legislature, having been elected in 2008. 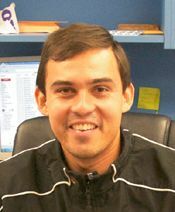 Walle said that due to seniority, he had been appointed to the powerful appropriations committee, which will give him more insight into state government, and the ability to serve his district better. This committee deals with the most important bill, the state budget. There are 27 members on this committee, headed by John Otto, with Sylvester Turner as Vice Chair. Walle noted that the budget is based on a two-year or “biennial” term. Texas is the largest state in the country whose legislature only meets every two years. A total of about 7000 bills will be filed, he said, and only about 1000 will get to the floor for action. A major problem that the Legislature must deal with is population growth, and money to meet their needs. Over the last few years, growth has been 3% to 4%. However, revenue has also increased, due to strong oil production, and increased sales taxes. In the last session, the biennial budget was about $91.86 billion dollars, and in this session it will be about $103 billion. This is the amount that Walle’s committee has to work with. In addition, other moneys such as federal grants, will bring the total state income and expenditures up to about $200 billion for the biennial. Major expenditures to be funded include Education, Healthcare, Transportation, and Border Security. In education, Walle noted that 80,000 new students enroll in Texas schools every year. This growth was not funded in the last session, causing large budget problems for school districts. He praised Aldine’s Dr. Bamberg for her presence at the Capitol all week, talking with legislators about increasing funding. He said that a lawsuit filed by HISD and other districts regarding funding methods, was ruled in favor of them, but the state is appealing. Funding is set at $31.7 billion of General Revenue funds, and with other programs a total of $41.4 billion. In Healthcare, the major problem is funding of Medicaid. The state will provide $60 billion over the next 10 years, but if they were to accept federal programs, they would receive another $40 billion. On Transportation, the state is planning on spending $23.7 billion, including $2.6 billion transferred in from the “rainy day” reserve fund. On Border Security, Walle said this was a major priority, but not really a state problem but a federal problem. He did not want National Guard troops to be used in south Texas. A total of $418.3 million is set for this need. Debt Service for the biennium will come to $3.9 billion, higher than the new money for roads. In other matters, Walle said that Lone Star College is asking for permission to issue some 4 year degrees. Walle would like money to expand the Pre-K program. Governor Abbott has promised property tax relief, but if enacted it would cut county budgets and services. When asked what issues affect North Houston most, he responded Airport expansion, International trade, and transportation, especially relieving congestion on I-45. Harris County Judge Ed Emmett gave his 8th Annual State of the County presentation last Friday, at a luncheon at the NRG Center. 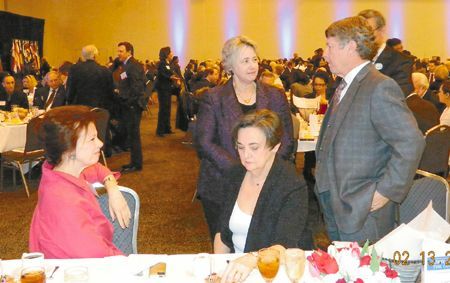 At least 600 persons were in attendance, at the luncheon sponsored by the Greater Houston Partnership. Judge Emmett’s main message was that unincorporated counties like Harris must be recognized as urban entities, not rural, and that government must properly fund the services that they provide, and allow them the flexibility of manage the constantly changing face of the county. At this point, Emmett paused and asked Angela Blanchard of NCI, and Gerald Overturff and David Hawes of East Aldine to stand and be recognized. Emmett said that healthcare and transportation issues remain the primary problems facing the county in the future. Noting that the county is only a branch of state government, he said it was time for the Texas Legislature to consider establishing regional health care systems to replace the patchwork of local hospital districts and smaller public agencies. He also called for renewed support for TransStar, the agency charged with transportation management in the region, but also the “premier emergency operations center in the nation.” The 20-year TransStar operating agreement among the four partners, County, City, TxDOT and Metro, expires in 2016. Emmett concluded this year’s event by inviting the attendees to go across the street to the floor of the Astrodome, which turns 50 years old this spring. Emmett, the Urban Land Institute, and other leaders have called for conversion of the Dome into the nation’s largest indoor park. A METRO bus collided with a van in northeast Houston. The accident happened around noon last Thursday, February 12, 2015 at E. Crosstimbers and Hirsch. According to investigators, the bus and the van were traveling in opposite directions on East Crosstimbers at the time of the accident. 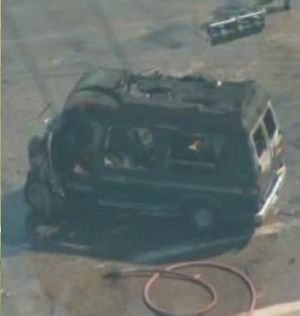 The van bursts into flames right after the crash, the driver and the passenger of the van were able to make it to safety before the fire. Reports show that 16 people were taken to different local hospitals, 14 were bus passengers, the bus drive, and the van driver. All with minor injuries. NORTHEAST– An 18-year-old MacArthur High School student was killed while walking to the school. 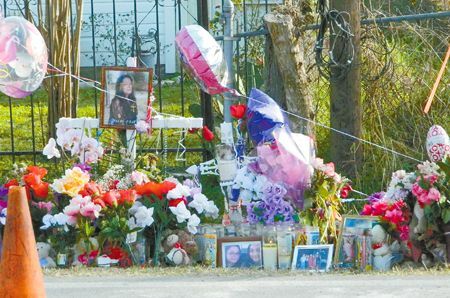 According to deputies, Vanessa Garcia, a senior student in MacArtgur HS was hit and killed by a pick up truck the morning of last Friday, February 6, 2015. Vannesa Garcia was walking in the middle of the eastbound lane on Bertrand and a car was traveling westbound, deputies said. Apparently, the car was going too slow and the driver of the pick up truck decided to pass the car. As the truck was passing the car, the pick up truck hit the teenager head on and killing her, deputies said. Deputies said in the last several months other people have been seriously injured or killed because there are no safe places for pedestrians to walk in that area. The girl was dressed all in black and there are very few street lights in that part of town, witnesses said. Vanessa Garcia was planning to go to college and study law enforcement after high school. Wednesday, January 28 – METRO Board of Directors voted on a novel way to drop off and pick up passengers in a neighborhood. The pilot is called Community Connector service (Previously known as Flex-Zone), and here’s how it works: A bus would pick up riders from their home but would stay in one zone, or neighborhood, dropping off patrons at popular spots – from grocery stores to churches to clinics. Riders would call for a ride at least one hour before they need it, and recurring rides can be set up ahead of time with bilingual operators. The Community Connector is similar to flexible services provided by other transit agencies, including DART in Dallas. 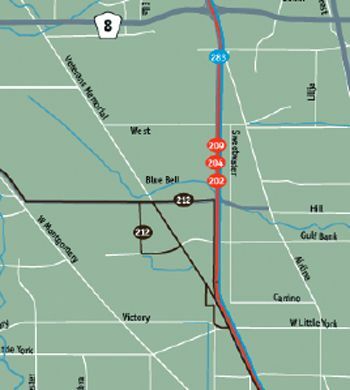 The pilot will start with Acres Home around Interstate 45 in northwest Houston. For patrons who wish to travel outside the zone, the bus will take them to a transit center where they can transfer to another METRO fixed-route bus. METRO plans to start the three-month pilot with two 27-foot shuttles. It is a more efficient approach to providing service in lower density neighborhoods. Community Connector service is part of the METRO System Reimagining plan, a major overhaul of local bus routes, designed to bring faster and more service, seven days a week. The plan is still being tweaked and is expected to be launched this summer. (Houston, TX) – On Saturday, January 24th Congressman Gene Green hosted a Healthcare Enrollment Forum at the M.O. Campbell Educational Center. The event was free to the public and approximately 80 individuals and families were assisted. 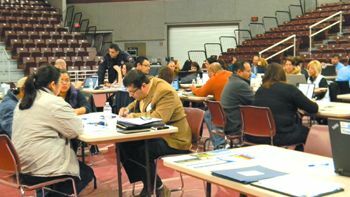 Navigators, Certified Application Counselors, and volunteers with the Gulf Coast Health Insurance Marketplace Collaborative helped attendees understand their healthcare options and enroll in insurance plans. Healthcare professionals were also onsite to administer free health screenings and flu vaccines. Last year, 10.3 million Americans gained healthcare coverage through the Affordable Care Act. In North and East Houston and Harris County alone, almost 20,000 people gained coverage. During the initial enrollment period, nearly 7 out of 10 people who selected a plan through the Marketplace found coverage for less than $100 a month with tax credits. Among the Healthcare providers Houston Department of Health and Human Services, Area Agency on Aging (Harris County), Community Health Choice, MD Anderson Cancer Center and Vecino Health Centers. This event was made possible with support from Aldine ISD, M.O. Campbell Educational Center, Aldine ISD Police Department, Sheriff Adrian Garcia, Constables Alan Rosen and Chris Diaz, Enroll Gulf Coast Insurance Market Place Collaborative, Navigators, Certified Application Counselors, Professional Assisters, Service Exhibitors, healthcare providers and screeners, and all volunteers.